Are you a fan of a good vintage? Maybe fancy yourself an amateur sommelier? Then you’ll definitely want to be apart of the Food and Wine Series at The Rancher’s Club, Stillwater’s only fine dining restaurant! 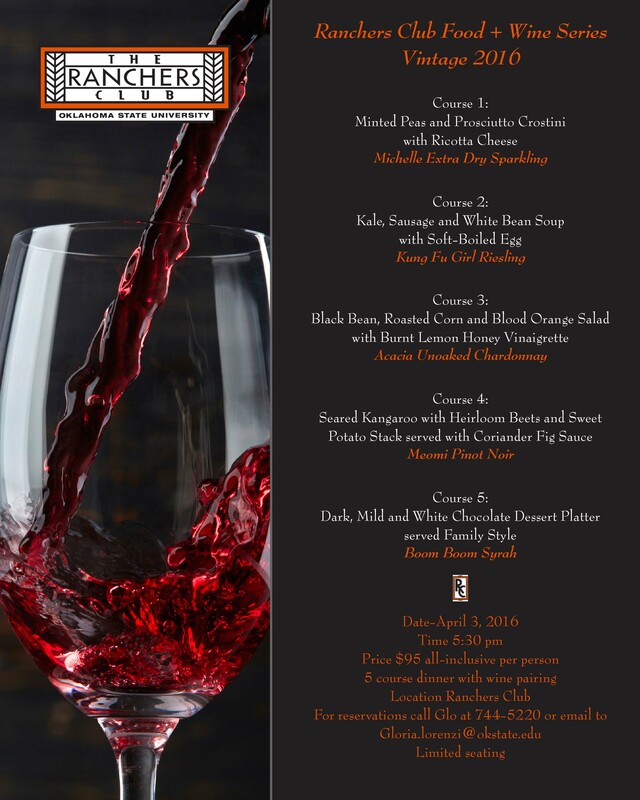 The first wine dinner of the series launches on April 3rd, beginning at 5:30pm, and features a five course dinner with fabulous wine pairings for each delicious course like the seared Kangaroo with heirloom beets and sweet potato stack served with coriander fig sauce. All the courses are sure to delight palates, there’s limited seating, so even though April might feel like a long way off now, be sure to reserve your seats before it's too late!